At The Downs School, we give all our students the very best start in life, to help them develop into well-rounded young adults, able to venture into a rapidly changing world with confidence and determination. Set in the heart of the West Berkshire Downs, The Downs School is a special place where, I am proud to say, the staff are totally committed to excellence and achievement at all levels. Ofsted has judged us as “outstanding” in every category, but we are not a school that wants to stand still. We know that there is always more to do to ensure that every child’s educational experience is rich, character-building and of the highest possible standard. We are striving to move “beyond outstanding” through our philosophy of “Learning together, learning for life”. The school provides a balances approach to the pursuit of excellence by offering an interesting, challenging and lively curriculum. Students gain academic, creative, sporting and social skills, both in and out of the classroom, ensuring a well-rounded learning experience for all. This year, we have once again maintained the strong tradition of excellence that we have come to expect at The Downs School and are extremely proud of our students’ achievements. At GCSE we surpassed last years’ excellent results with over 84% of students achieving the new standard pass 4-9 (C to above A*) in English and Maths, with 83% achieving at least 5 subjects at grade 4 and above. In abundance were a stunning number of grade 9’s, with 13% of all entries of at least 8/9 (A*and above) and 27% 7- 9 (A and above). Our A Level students also achieved an outstanding set of results, with 65% A*-B grades, 85% A*-C grades and 33% A*-A grades. These fantastic results at both key stages epitomise what The Downs School stands for; strong partnerships, resilience and desire to achieve at all levels. Our high-performing school is founded on the strength of relationships between staff, students and parents. We respect the trust placed upon us by parents who actively choose our school for their children. We work in partnership with our students who contribute to the decision-making in the school, ensuring that they feel valued and confident. Despite our size, we pride ourselves on our small school feel. 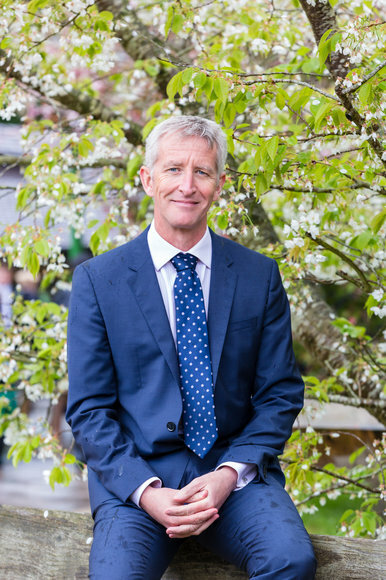 I am extremely proud to be the Headteacher of such a vibrant school community and encourage you to make a visit to see us in action; we very much look forward to welcoming you and your family to The Downs School.